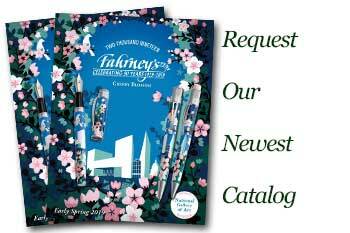 Order your Pelikan Limited M205 Olivine Fountain Pen today from FahrneysPens.com. Fine Pens, Refills & Luxurious Gifts – great prices & fast shipping. Following the successful launch of its Edelstein Ink of the Year 2018, Pelikan is pleased to introduce the matching Classic 205 pens and sets. 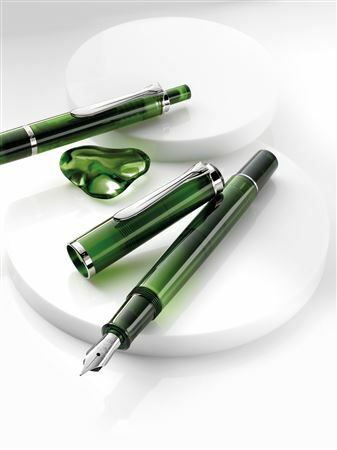 The pens and ink all share the extraordinary and distinctive Olivine color. It reflects the varied intensity of the natural gemstone for which its named – light olive green hues transition into dark tree-green shades. 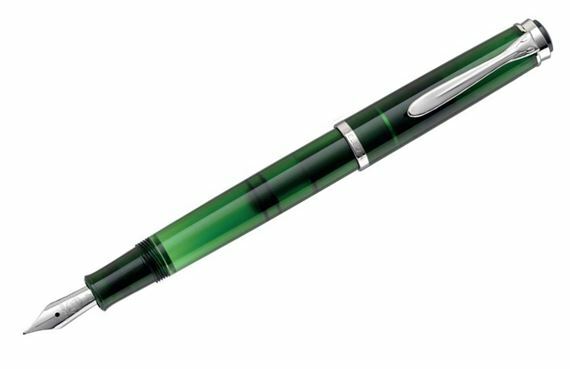 The translucent green is crafted in a special resin that gives the color depth, yet allows a glimpse inside the pen. The Classic 205 Olivine special edition series is offered as a fountain pen with patented Pelikan piston-filling mechanism and a ball pen with push-button activator. The stainless steel fountain pen nib comes in your choice of regular or ITALIC MEDIUM points. The M205 Olivine Gift Set features the fountain pen together with the Edelstein Ink bottle – a beautiful gift for pen enthusiasts. Ink is also sold separately.